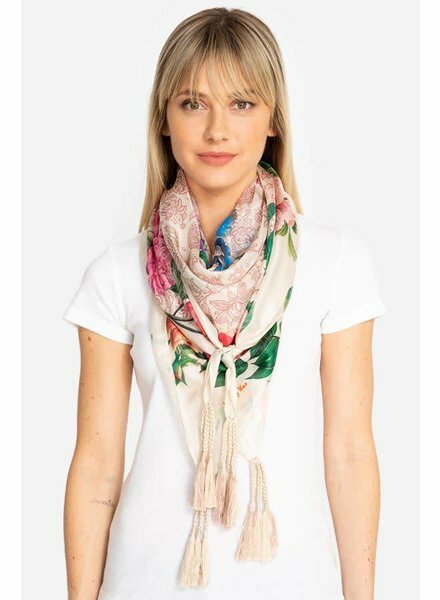 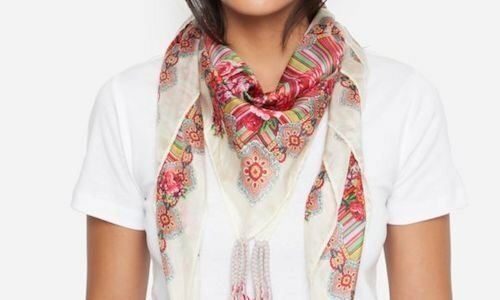 A must-have accessory for lovers of retro-inspired fashion moments and classic style, this scarf will inspire you to show off your knack for accessorizing. 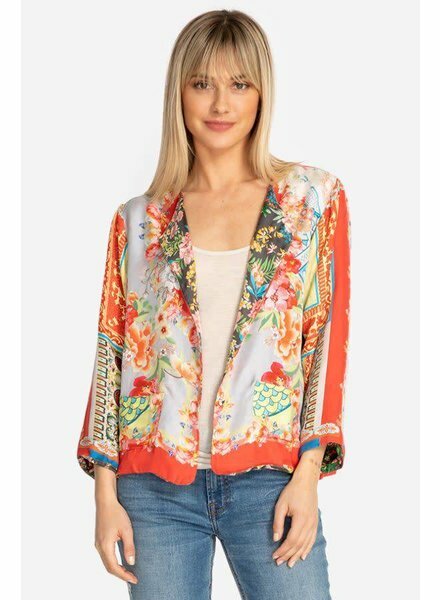 Our Lyon Jacket is intricately decorated on the upper back and sleeves with hand-embroidered florals and mandala patterns. 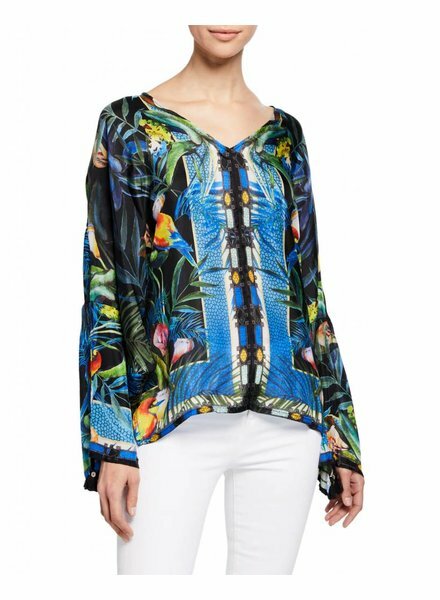 The Black Parrot Print Jungle Blouse by Johnny Was is a "Jungle" printed silk georgette blouse featuring a v neckline, dolman sleeves, side slits and straight hem. 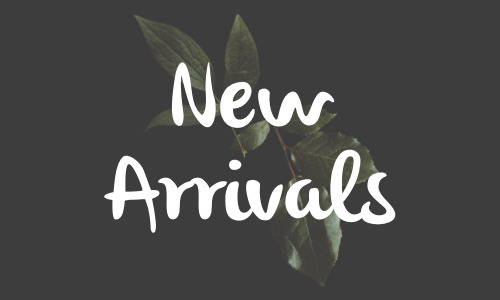 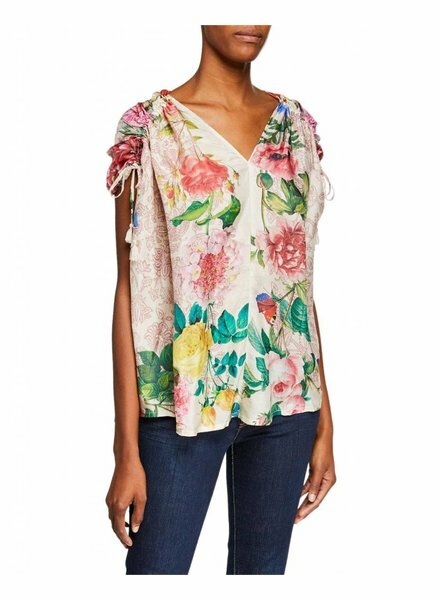 The Pink Floral Botanical Top by Johnny Was is a floral-print caftan top in silk georgette featuring a v neckline, ruching at the shoulders, short sleeves and high-low hem.